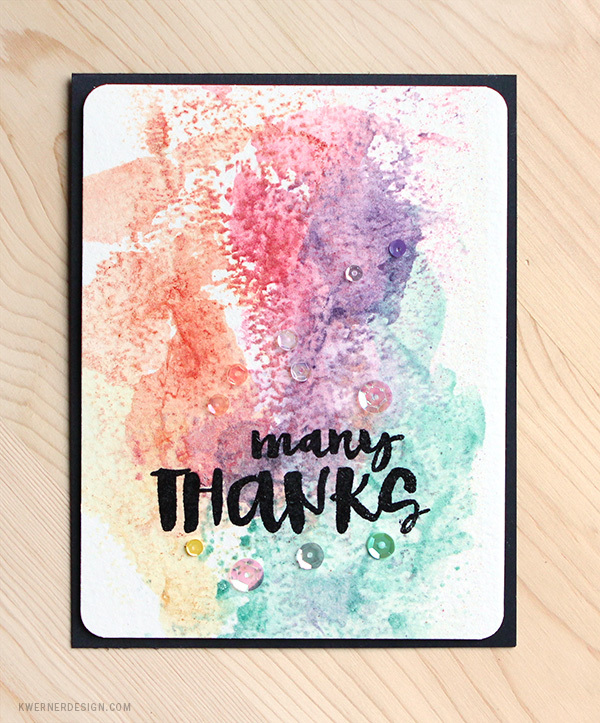 Simon Says Stamp Color of Fun Release + GIVEAWAY! Hi all! 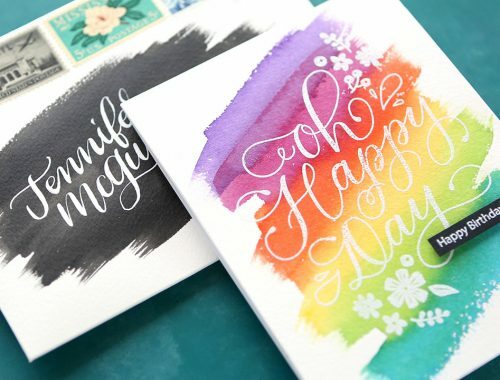 Today I am taking part in a blog hop celebrating Simon Says Stamp’s new release called Color of Fun. And there is a lot of new color! You can see the entire release HERE! I thought it would be fun to play with a few of the inks on some cards. First I did some plaid stamping using the oldie but goodie Nautical Borders stamp set and five of the inks: Duckling, Sunkist, Hollyhock, Wisteria, and Spring Rain. Then I used those same colors to do some ink smooshing. This ink formulation creates a more dry look when smooshing, but I still love the look. 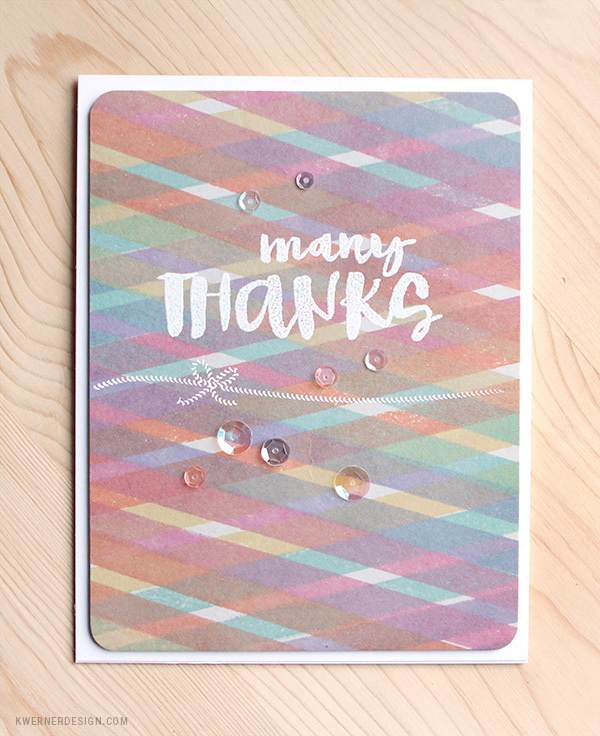 I finished off both cards by stamping a greeting from the new Many Thanks stamp set and adding some sequins. As part of the blog hop, Simon Says Stamp is giving away a prize pack of crafty goodies to one person on each stop of the hop. So be sure to leave a comment at each blog you visit during the hop today. This will increase your chances of winning. Winners will be announced on the Simon Says Stamp Blog on Monday, June 15. Good luck! Now it’s time to get hopping! Here’s the list of hop participates today.